Searching for mortgage advice? We'd be thrilled to answer your questions about your mortgage needs! Call us at 305-598-1600. Want to get started? Apply Here. Before deciding on what terms they will offer you a loan (which they base on their risk), lenders want to discover two things about you: your ability to repay the loan, and if you will pay it back. To assess your ability to pay back the loan, they look at your debt-to-income ratio. To assess how willing you are to repay, they use your credit score. The most widely used credit scores are FICO scores, which were developed by Fair Isaac & Company, Inc. The FICO score ranges from 350 (very high risk) to 850 (low risk). We've written a lot more about FICO here. Your credit score is a result of your repayment history. They don't consider your income, savings, down payment amount, or demographic factors like gender, ethnicity, nationality or marital status. Fair Isaac invented FICO specifically to exclude demographic factors like these. "Profiling" was as bad a word when FICO scores were first invented as it is in the present day. Credit scoring was invented as a way to consider only that which was relevant to a borrower's willingness to repay the lender. Past delinquencies, derogatory payment behavior, current debt level, length of credit history, types of credit and the number of inquiries are all considered in credit scoring. Your score is calculated with both positive and negative items in your credit report. Late payments count against you, but a record of paying on time will improve it. To get a credit score, borrowers must have an active credit account with a payment history of six months. This history ensures that there is sufficient information in your credit to build an accurate score. Some borrowers don't have a long enough credit history to get a credit score. They should build up a credit history before they apply. 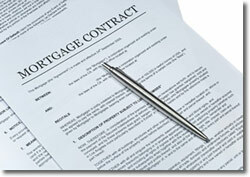 Strock & Tanner Mortgage Corp. can answer questions about credit reports and many others. Call us at 305-598-1600.